A skills-based approach, combined with a strong abstinence message, shows students ways to meet personal and social pressure and challenges. Self-contained lessons offer you the flexibility to select the most appropriate topics. Health Labs feature science-based health activities and hands-on experiments that require little or no scientific equipment. 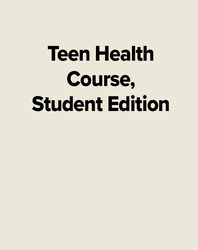 Making Healthy Decisions provides decision-making practice in the types of situations teens face today. Legal, moral, and safety considerations, as well as personal, family, and social values, are included in the students' decision making. The program promotes wellness, health literacy, and positive health behavior and covers such content as personal health; consumer and community health; injury prevention and safety; alcohol, tobacco, and drugs; nutrition and fitness; environmental health, family living; individual growth and development, and communicable and chronic diseases.